Spectacular new construction in beautiful flat rock. Great price for a flat rock address. 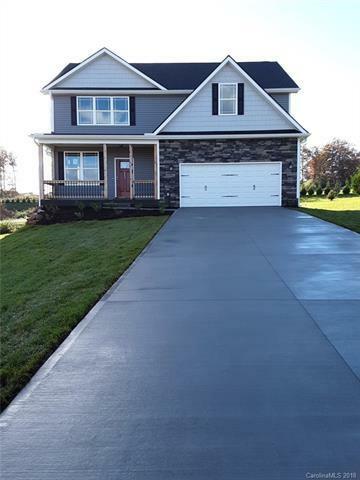 So much square footage with beautiful finishes such as granite in the kitchen large pantry, hard woods on most of the first floor, formal dining room, lovely gas fireplace, 1/2 bath on the first floor. second floor laundry,spacious master suite with separate master shower and soaking tub, a little nook off the master bath, perfect for a little vanity,2 car attached garage with extra storage equivalent to an extra 1 car garage(approx.) This home is complete and ready for you to take occupancy. This is the last new construction home this builder is going to be building in this neighborhood. There is a wonderful covered back porch that overlooks a fairly level, large and beautiful back yard. Some mountain views, very convenient to Hendersonville, Asheville,Brevard and Greenville SC. Taxes based on lot.